SAN FRANCISCO (KGO) -- An adorable holiday tradition is back on display in San Francisco. The SPCA pulled the covers off the annual holiday windows at the Macy's in Union Square. This year's theme is "A Charlie Brown Christmas." Inside of each window are dogs and cats up for adoption. 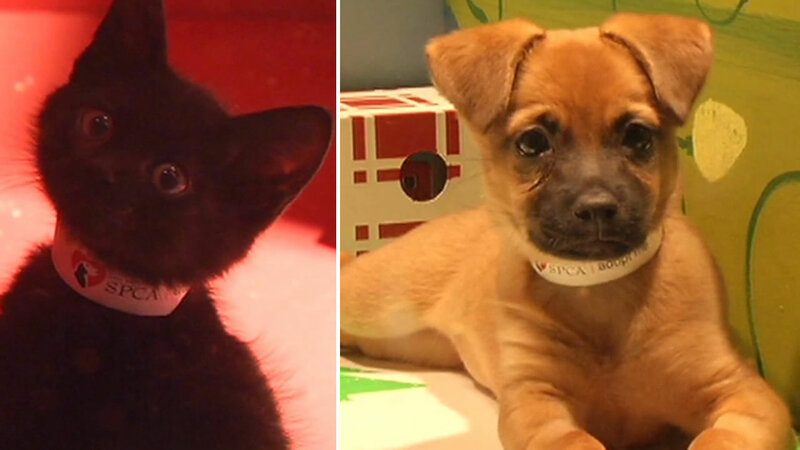 Last year more than 260 animals found new, loving homes. Click here to watch a livestream of the holiday windows.